Do you want to download a PDF version of the TAWS Diary to your computer? Other Info - for lots of other information about Square Dancing in Australia, visit the National website or facebook page. You can also use their Free Call number 1800 643 277 to find the location of your nearest Square Dance Club. 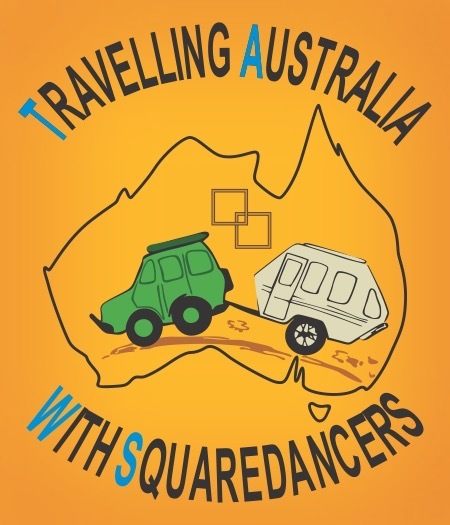 The TAWS meeting at the 60th Australian National Square Dance Convention will be held on Friday 26th April at 3pm. Please refer to your Convention Programme to confirm the date and time of this meeting, and where it is being held. The bus will depart at 9.00am on Monday 29th April from the bus stop opposite Sullivans Restaurant on W Parade as shown on the following map. There is all day parking nearby. The 60th Australian National Square Dance Convention will be held in Deloraine, Tasmania from Wed 24th to Sun 28th April 2019. If you are travelling to Tasmania by ferry for the 2019 national convention, please book using the following link or by phoning 1800 635 877. Fares increase as sailing dates get closer but the ferry company is holding the fare at current prices for dancers. It is advisable to book as soon as possible to get your required sailing dates. Targa Tasmania will be held from 29 April to 4 May 2019 resulting in road closures which may affect you if you are touring Tasmania after the convention. Refer to the attached document and the following website which hopefully will assist you in avoiding the Targa.